What Are Your Smart Home's Wiring Needs? New constructions include a lot of decisions, and we know it's easy to get overwhelmed. 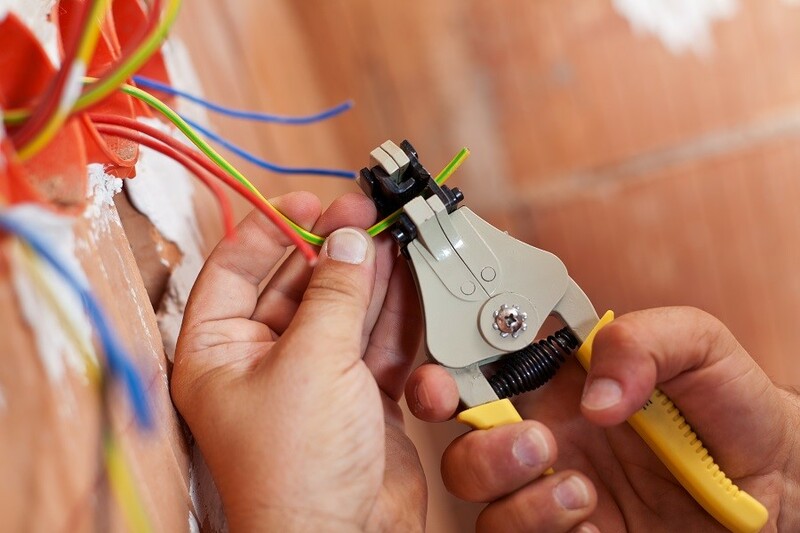 Home prewiring services with their technical jargon are usually at the bottom of the list. Even if owners know technology is important to them, they assume they can take care of it at a later time. But wiring requirements have expanded beyond the traditional electric landscape. Now, homes need the necessary prewire for surveillance, lighting, climate control, entertainment and more. Although retrofits are possible down the line, prewiring for your smart home needs will result in a smoother, future-proof installation. The Integrated Home is rated 5 out of 5 based on 29 reviews from around the Web. The Integrated Home is a company that I would recommend to handle any project. They are detailed, organized company that exceeds the expectations of their clients consistently. We have worked together on many projects over the years now and they are a true pleasure to work with. I’ve enjoyed a long and successful relationship with JW and his talented team. They are an absolute go-to resource for me when recommending an AV partner to my clients. Great company with employees that have an in depth knowledge of all the products, and willingness to go above and beyond (above a level I expected with installation and care to make everything absolutely perfect). The Integrated Home worked with my wife and I on the design and installation of our new home audio, video, security, camera system. They were fabulous to work with not only during the design and implementation, but their commitment to follow up is spectacular!! My highest recommendation! JW is a pleasure to work with re Lighting Control and Complete Home Automation. His knowledge regarding his craft makes Arcadia Homes a happy client many times over. The Integrated Home has always been our first choice to use on the luxury homes that we build. They have ALWAYS exceeded our expectations. I cannot recommend them any higher! Whatever the measuring stick, be it quality, value, service, etc., they are the best there is. The Integrated Home's knowledge and dedication to the AV industry is only overshadowed by truly great service and value to their clients. They are always looking to to provide the best solution possible for a given budget. One of the best around! I have worked with several technology / audio-visual companies on my various projects. The Integrated Home is by far the best company in this field I have dealt with. They did a great job of explaining everything up front and then delivered exactly what they promised on time and within the budget. TIH's team of technicians are fantastic. Very intelligent, personable and professional! The Integrated Home is a terrific business, and I recommend them highly! I asked TIH to provide a digital media system that was unique for my home needs. They were able to design and flawlessly install a system that was beyond expectation. They completed it on time, on budget, and were more knowledgeable than others I have previously worked with. To this day the team ensures my home is functional, user-friendly, and being enjoyed by the whole family! My home is a more relaxing place thanks to TIH's work and vision. JW and his team are professional, courteous and some of the hardest working folks around. I was really impressed with the top notch customer service in making sure everything was communicated correctly and our sound system was working perfectly. One of the pre-eminent "smart house" electronics integration companies in Charlotte. We are completely satisfied with the work that has been done & have in fact returned several times as our needs have evolved. I would recommend The Integrated Home to anyone looking for reliable, professional service. They recommended and installed a system that is perfect for our home, fit our budget, and was installed on time and with absolutely no mess. They know so much about audio/video science and systems that they are able to make great recommendations and explain why they will look and sound great...and they're right. We could not be happier with the results! The technicians at The Integrated home were prompt, knowledgeable and patient in their component installation and Control4 remote set up. We are enjoying our new Entertainment upgrade options very much. Working with The Integrated Home is a pleasure. They do what they say they will, when they say they will, and are clean during the process. The Integrated Home has created a unique living environment at our home. They transformed our inside and outside so that ALL areas became not only usable, but enticing to be in. They have always put in the necessary time to complete the job to my highest expectations and until the job is done! Thank you from my family to your Team! Comprehensive, professional, accessible, cost effective - I am both a residential and professional client, they have done amazing work for my home and business! JW and his team at The Integrated Home are top notch. Their knowledge and innovation, but most importantly their customer service are unparalleled in their industry from my experience. I would (and do) recommend them to anyone looking for Audio Video/Technology solutions in their home! They go above and beyond in service! Would highly recommend. Thanks for all your help! The TIH Team is professional, courteous and some of the hardest working folks around. I was really impressed with the top notch customer service in making sure everything was communicated correctly and our sound system was working perfectly. JW and his team are great! They know their stuff and always do what they say. I had the pleasure of working with the crew at Integrated Home on a high end project with a very high profile client. They were always very punctual and helpful with all of my and my client's needs. Their "can do" attitude on a very complex and fast paced construction deadline was extremely appreciated and they continue to assist my client with all of their A/V needs. It was great to work with such a professional team. I've worked closely with TIH on a few projects and highly recommend their services. From initial design to project completion, their attention to detail, professionalism and expertise make for a fantastic team to work with. Even with a difficult client and complex project, TIH was dedicated, thorough and a pleasure to work with. After having dealt with the integrated home, and another home system company, I can assure you that the professionalism and quality of work are completely unmatched by the Integrated Home. I would like to take a moment to thank you and your staff at The Integrated Home for the professional installation of our Home Movie Room System. Both my husband and myself are very pleased with the entire process from our initial meeting and bid, to the timely installation and excellent communication throughout the process. All of your staff have been very professional and really pleasant to work with. If there has been a slight question or issue with the system, they have always provided immediate help to solve! Overall, our experience has been an A+ and I would be happy to recommend your Company to friends and family. We love our new Movie Room! These guys set me up with an awesome system and have always been super responsive whenever I have a question!